It sometimes happens that the people who attend Freedom Alliance events are so affected that they want to give back, so that others, like them, can share in the experience. When they are able to, veterans want nothing more than to do for other veterans. 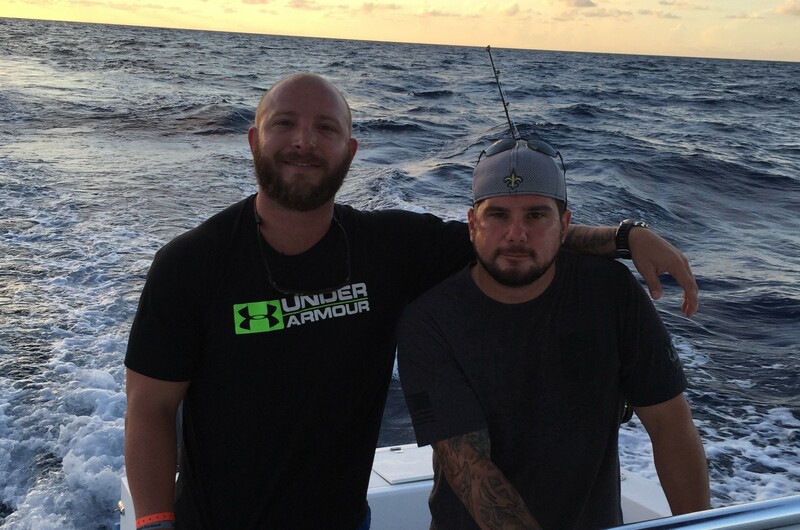 This is what happened when Nick and Tommy traveled to Costa Rica with Freedom Alliance earlier this year. 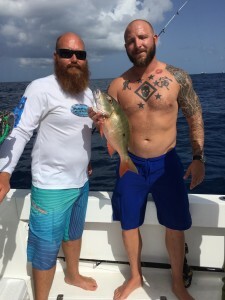 These two Marines, formerly part of the Special Operations Command, or MARSOC, donated their time, money, and fishing boat to create a special event for Freedom Alliance. In July, Nick and Tommy met their former MARSOC team members, Brandon and another Nick, at the airport in West Palm Beach. From the marina, the four men journeyed by boat to Freeport on the Grand Bahama Island. Once there, they fished for a while and reeled in a good-sized tuna. The Marines lodged at Flamingo Bay Hotel and Marina, but turned in after dinner in anticipation of an early morning. The next day was spent fishing and snorkeling. 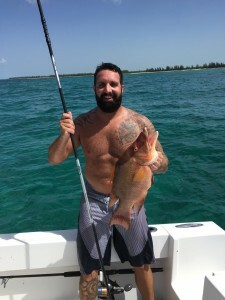 The fellows caught some snapper, and even tried their hand at spear fishing, which was a first for Brandon and Nick. On the evening of the second day, some guests at the hotel invited the Marines to a fish fry at a neighboring restaurant. After a good dinner and some hobnobbing, the Freedom Alliance crew said goodnight, for it would be another early start on their last day. The final morning was spent fishing, then they took the boat back to Palm Beach. Boat owner Nick cleaned and filleted the fish they had caught, and they took the catch to a local restaurant that prepares your fish any way you like. While enjoying their meal, the old comrades-in-arms cheerfully reflected on their time fishing in the Bahamas. Nick told us that he hopes he can one day contribute to the work Freedom Alliance is doing. 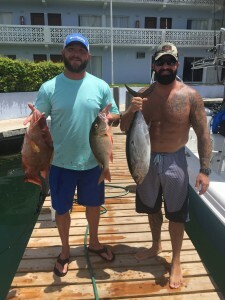 He and Brandon so appreciate what our donors enable us to do for their fellow service members, and their reaction was so positive that there will be a couple more of these charters scheduled before the end of the year.